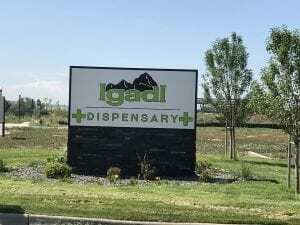 Boulder County welcomes a new cannabis dispensary, IGADI, located 1325 S. Public Rd. in Lafayette. With a recent grand opening, the new mountain inspired structure, presents a clean and transparent shop. With its glass lined walls and stainless steel fixtures, the product displays are fresh, well organized and worthy of purchase. From the time you walk in the door your clean cannabis experience begins. Once checked in by the cheerful staff, your wait time is usually short. Headquartered in Tabernash, Colorado, @IgadI_LTD uses advanced and proven cultivation techniques to produce high quality “mountain grown” cannabis. 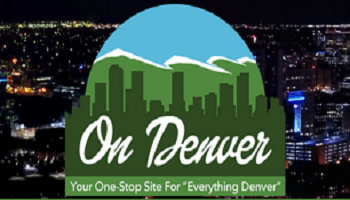 With something for every style and taste, the choice of products include flower, concentrates, and a wide selection of edibles. Now with four locations around the state, Igadi’s business model is taking off. 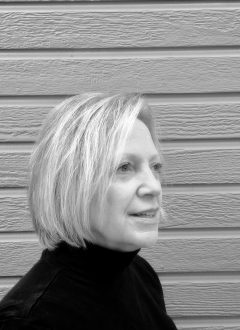 At the foundation of their success, you will find the three key components that set them apart: quality, education, and the client experience. Quality: Beyond the glass wall, you are directed into the heart of the operation. Now serving medical patients and recreational customers, Lafayette’s IGADI has multiple options in both categories. 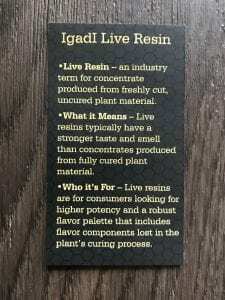 All IGADI products originate at the Tabernash headquarters where the cultivation, extraction lab, and commercial kitchen are located. With a collective knowledge of cultivation and application, quality is evident in their fragrant flower, vibrant concentrates, and tasty edibles. Education: A big part of the IGADI philosophy is to educate consumers; something that sets them apart from their competition. 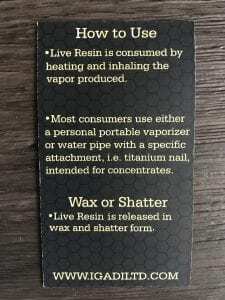 With each concentrate or edibles package, a instruction card is included to give insight into the product how, what, and why (see examples below). The IGADI bud-tenders are compassionate and understanding, especially when it comes to your health benefits or concerns. The staff is ready to discuss mico-dosing and other options for first-time users to provide a pleasant and meaningful experience. Client Experience: If you’re lucky enough to visit the Tabernash, CO headquarters, you can see the world’s largest observable commercial grow from the waiting room of the dispensary. 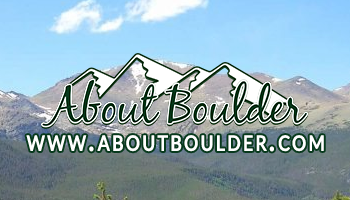 But, if you can’t make it to the mountains, then visit the Lafayette store, it has something no other dispensary in the area has — customer restrooms and a water fountain! I know it sounds trivial, but if you’ve ever been to a crowded dispensary with long wait times, you can appreciate the simple conveniences of a fresh drink of water and a bathroom. A welcome business to Lafayette, IGADI, brings a reputation of quality and compassion to the people. They are open everyday with hours of operation from 8:00 am to 10:00 pm. If you are looking for a dispensary that gives you a sense of calm, I suggest IGADI in Lafayette.